Measurement systems that demonstrate versatility by satisfying the current project requirement as well as having the capability for developments leading into the future, are at the forefront of every manufacturer’s mind. To enable progression these companies need to consider a metrology system that is able to adapt to the requirements of the future. Multi-sensor measurement machines offer unmatched versatility for this reason, allowing your inspection processes to remain accurate, repeatable and efficient for the foreseeable future. 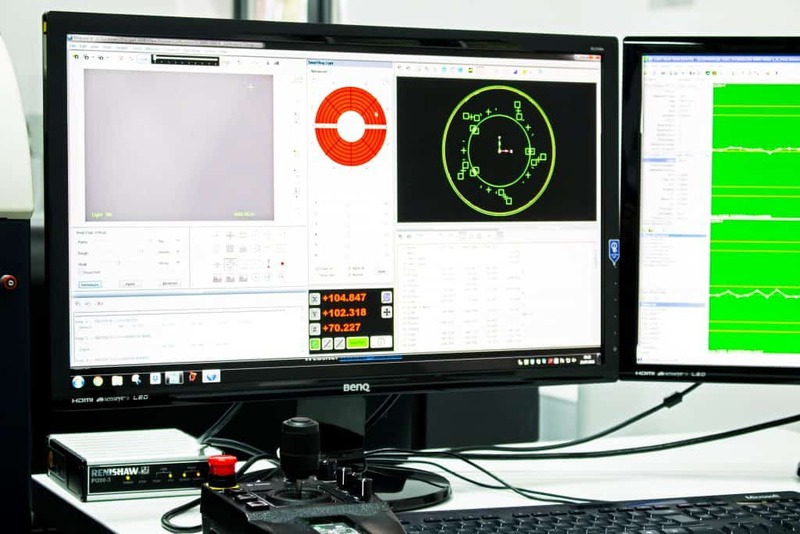 Using two or more different sensors, multi-sensor metrology machines acquire data points from part features far faster than can be done using a single sensor system. Having the capability to measure all dimensions in one setup reduces costs and increases productivity compared to carrying out fewer measurements using various different methods. Metrology operator training expenditure is greatly reduced by needing only training for a single software package instead of multiple and sometimes unique measurement software. A multi-sensor system allows for more space within the production environment by decreasing the amount of individual machines needed per part feature. Data collection with a single system and software avoids potential problems created by data transfer between machines with varying resolutions and calibrations. When programming part measurements from CAD much of the work can be carried out offline and away from the multi-sensor metrology machine, allowing its use to support production. Full 3D software aids programming and system operation through real-time kinematic models of both the system and sensors. The predominant factor of importance in any business case for multi-sensor technology is versatility. Versatility is a key attribute which enables full optimisation of the measurement process. Multi-sensor technology systems allow for adaption to future measurement needs through the ability to integrate multiple sensors both now and tomorrow. A typical multi-sensor machine can combine both contact and noncontact sensors for acquiring measurement data points, making it the most versatile form of measurement there is available on the market. An example of multi-sensors combined for optimal results could be two non contact co-axial optical sensor technologies, such as video measurement of a field of view alongside a chromatic confocal microprobe for sub-micrometre resolution point measurements. While video measurement identifies features in the camera FOV, the microprobe measures surface points through analysis of changes within the optical spectrum as a function of part-to-probe spacing with resolution. Optical measurement offers accurate measurement of defined edges and multiple features of a similar geometry. These can be combined with a number of other sensors for full measurement capability. Another non contact sensor, the interferometric probe, is a specialised measurement method using the interference of light waves. This probe offers access to surface features that are recessed or are adjacent to vertical surfaces as well as a long working distance due to its steep imaging angle. The interferometric probe enables thickness measurements on small, smooth, flat or transparent surfaces such as glass, or small holes and recesses that are often inaccessible to other probes. Additionally, microprobe sensors can also be added. Microprobes are based on piezoelectric principles and this method of data collection is commonly known as a dynamic single-point data capture method. 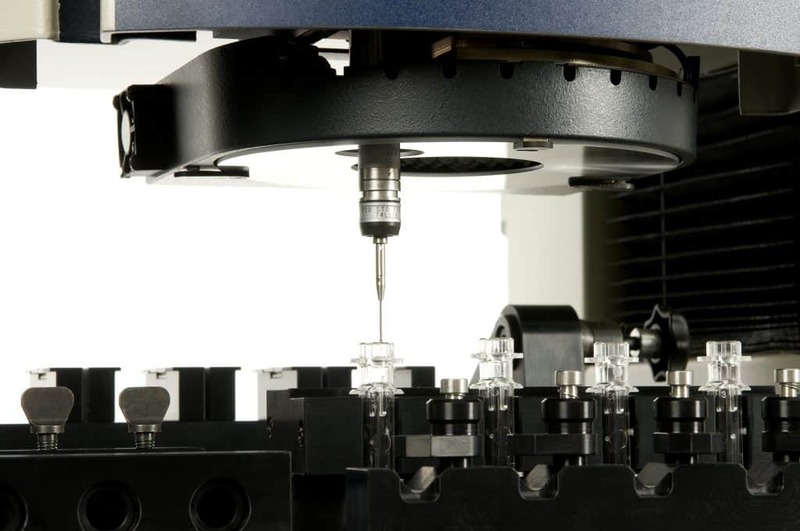 The microprobe is free from stylus bending and mechanical hysteresis due to its noncontact nature. It is an ideal solution for soft, flexible, or fragile surfaces and edges, especially fine features that do not allow regular touch probe back-off and approach distances. These noncontact sensors offer an accurate and repeatable solution for the measurement of products that may be easily impressed upon or damaged during standard metrology procedures. There is a variety of additional contact sensors available to use in conjunction with this range of noncontact sensors from OGP UK enabling full multi-sensor measurement of any part feature. Software is a vital part of the system as well as the solution. Modern metrology software easily interfaces with 3D engineering design files via standard CAD formats such as IGES or STEP, allowing the software to utilise the 3D design model in order to create automatic measurement routines. This then ultimately instructs the multi-sensor measurement machine to conduct automatic full part measurement routines, or just measurement of specific critical dimensions dependent on quality requirements. These measurement routines can then be repeated once the part goes into production and can easily be modified for parts with a similar geometry. Post-inspection, the metrology software analyses the measured data and through comparing them to the CAD drawing, determines if the part demonstrates any variance. This allows the engineering team to determine if deviant dimensions can be eradicated through changes within the manufacturing process or simply by amending the CAD drawing. This comparison of the CAD drawing to the physical part offers both optimised engineering and manufacturing productivity, alongside improved quality measures. Multi-sensor metrology systems have proven to be long term contributors to improved quality, capability, accuracy and productivity. It is imperative that companies take the time to consider their measurement requirements for both now and in the future to ensure that their production is of the highest quality. With OGP UK you will be able to accurately evaluate your quality routine needs and determine the best solution for your business. OGP UK offers not only World-leading multi-sensor technology alongside incredibly intuitive software solutions, but will also guide you in the long term with unrivalled engineering support and services. Always ensuring that your multi-sensor measurement machine works in accordance with the highest standards imaginable for consistent performance and precision.